There’s something spiritual that happens when chicken is fried. White or dark, batter or breading, mild or spicy; Southern fried chicken is one of the south's favorite comfort foods. It's essential, straightforward and incredibly satisfying when done right. These are without question some of the best places to get your fried chicken fix on. We asked our followers to tell us who serves up the best chicken in Middle Georgia and based on the overwhelming amount of votes, Middle Georgia is VERY passionate about its fried chicken. 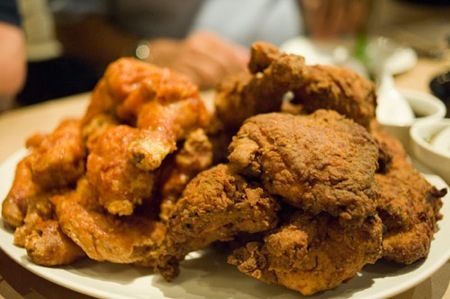 So without further ado we give you The Top 5 Best Fried Chicken. The Bear's Den was voted Macon's Best Fried Chicken. H&H has been a downtown staple for almost 60 years and was very close to being #1. 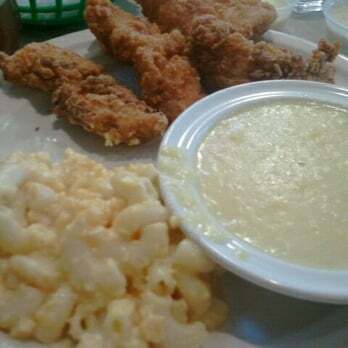 It's just a short drive to Bolingbroke for Miss Hattie's fried chicken, your #3 choice for best fried chicken in Macon. This popular Perry dive is well known for its fried chicken and placed fourth in our survey results. Jeneane's consistently serves some of the greatest southern fried chicken in town, making it #5 on your list of best fried chicken.